Join the game and hunt the spy. 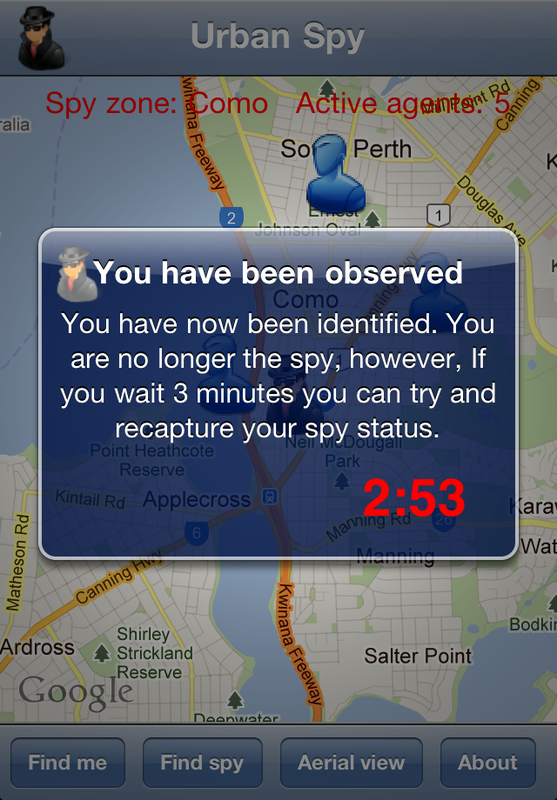 There is a spy in every suburb of every city and if you are the first to get the game you are the spy. Get your friends to join and they are hunting you. 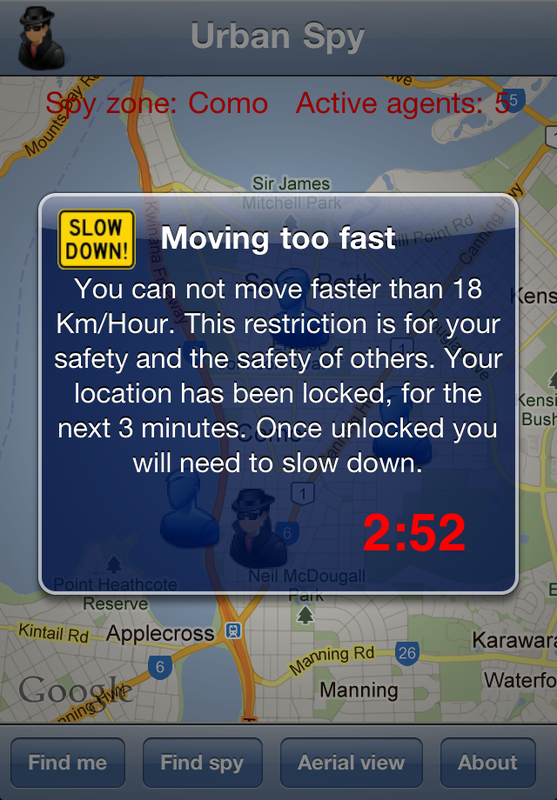 If they come within 50 meters you will be identified and deactivated for 3 minutes. 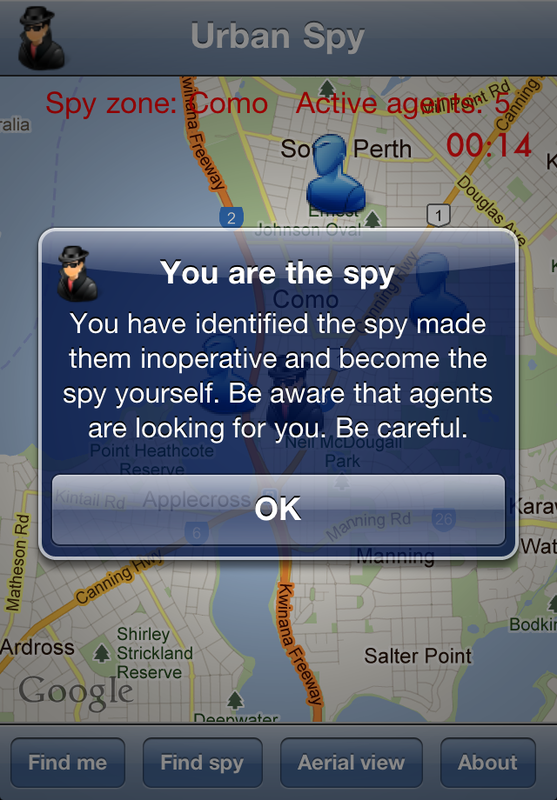 Once reactivated you can hunt the spy and try an recapture your spy status. This game may take some time to grow because it needs you, however, once the number of agents in the game increases so does the fun! We have plans for this game but we would appreciate your suggestions and they will be included. The spy can now cloak themselves three times in any game. This hides them from the agents for 3 min, giving them time to escape. 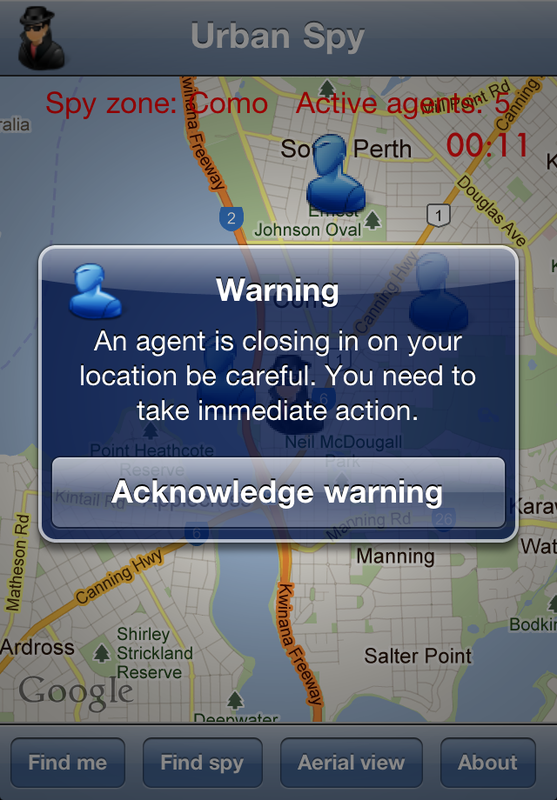 They can still be identified and must stay more then 50 meters away from any agent while they move under the cloak of secrecy, however, the agents will not know where they are. The spy can select to cloak by taping the spy icon on the map and then the cloak button.